A media theorist, author, documentarian, and world-renowned public intellectual. Named one of the world’s 10 most influential thinkers by MIT, Rushkoff has written 15 bestselling books—including Present Shock and the upcoming Distributed—and coined such concepts as “viral media” and “digital natives.” His talks are a culmination of his pioneering work, and an infallible source of what’s to come. 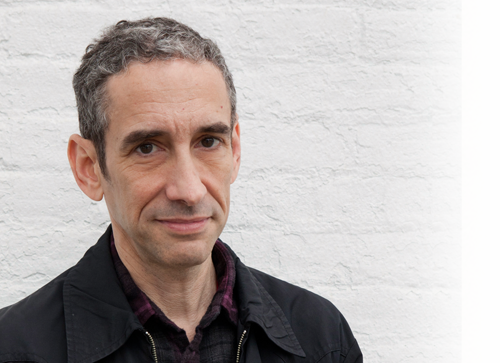 Douglas Rushkoff Has spent his prolific career thinking about how new media and technology are impacting culture, business, and the economy. Named one of the world’s 10 most influential thinkers by MIT, Rushkoff has written 15 bestselling books—including Present Shock and the upcoming Distributed—and coined such concepts as “viral media” and “digital natives.” His talks are a culmination of his pioneering work, and an infallible source of what’s to come. He is probably best known for his many television, NPR, and PBS appearances, including his Frontline documentaries Generation Like, about teens and social media; The Persuaders, about the arms race between marketers and the public; and The Merchants of Cool, about who really drives youth culture. Rushkoff has appeared everywhere from Occupy Wall Street to The Colbert Report. He is also Professor of Media Theory and Digital Economics at CUNY, a regular correspondent on digital business and society for CNN, a consultant to the United Nations and the State Department, a graphic novelist, counterculture celebrity, and the winner of the Marshall McLuhan Award for Media Writing, as well as the first Neil Postman Award for Career Achievement in Public Intellectual Activity. Our society has reoriented itself to the present moment. Everything is live, real-time, and always on. Wall Street traders no longer invest in a future; they expect profits in the ultra-fast moment. Voters want immediate results from their politicians, having lost all sense of the historic timescale on which government functions. Kids text during parties to find out if there’s something better happening in the moment, somewhere else. It's not a mere speeding up, however much our lifestyles and technologies have accelerated the rate at which we attempt to do things. It's more of a diminishment of anything that isn't happening right now—and the onslaught of everything that supposedly is. If the end of the 20th century could be characterized by futurism, the 21st is about presentism. We are no longer contending with future shock. The future is now. In this talk, Douglas Rushkoff will convey "present shock" as it manifests on myriad levels: how it changes the way we make and experience culture, run our businesses, invest our money, conduct our politics, understand science, make sense of our world, and form our beliefs, cultures and religions. He will share panic reactions to present shock (such as Narrative Collapse, Fractalnoia, Overwinding, and Apocalypto) right alongside more successful approaches to living outside what we have always thought of as time. In addition to general audiences, this talk is of particular interest to marketers and messagers attempting to communicate in a post-narrative age. The dominance of centralized value creation by corporations is fast being challenged by a world of smaller, networked markets, each capable of adding and measuring value in its own way. Top-down national currencies like the dollar and Euro—as well as the banks that live off them—are quite literally breaking down under the pressure. According to Douglas Rushkoff, this is not a crisis for business or investors at all, if they simply come to understand how economics works in a digital environment. Rushkoff chronicles the invention of central currency, revealing its embedded biases and showing how it is now failing as a medium of exchange and investment in the highly abstracted and accelerated marketplace. He contextualizes the current banking crisis as the failure of a 13th century monetary operating system to serve the needs of a 21st century digital economy. Rushkoff shares how banks, corporations, and investors alike can transcend the limits of “static” capital and competitive scarcity. For Millennials, the social media landscape is a game of numbers and hits, recommendations and followers, votes and views. What most young people don't realize is how these free online activities and apps come with a cost: they are delivering themselves and their data to a marketing industry that uses every click against them. In this talk, Douglas Rushkoff—producer and host of the PBS Frontline documentary Generation Like—will evaluate whether social media is offering young people a new avenue of self-expression, or simply empowering marketers to predict and influence their behaviors. He offers a new lens on the digital world in which we live, and some practical strategies for transcending the limits of our online profiles. The debate over whether the Net is good or bad for us fills the airwaves and the blogosphere. But for Douglas Rushkoff, the real question is, do we direct technology, or do we let ourselves be directed by it and those who have mastered it? “Choose the former,” says Rushkoff, “and you gain access to the control panel of civilization. Choose the latter, and it could be the last real choice you get to make.” In this spirited call for digital literacy, organized as ten “commands” for gaining control over technology, Rushkoff provides cyberenthusiasts and technophobes alike with the guidelines to navigate this new universe. This talk is particularly well-suited to communities considering how digital technology can be implemented in their schools or their economic renewal strategies.